A big part of my job that is always exciting, challenging, and new every time is the "art" of communicating visually who someone is and what their business is about. Graphics, illustration, typography, and photos can all help tell that story. This project is a perfect example of that welcomed challenge. Heather is a photographer out of Lubbock Texas, and after talking to her for 5 minutes, I felt like I really knew her. She is a very colorful, warm, friendly person who puts much thought and detail into her business and into her client relationships. Not only is she bright and full of life, but her work is too. She is a lover of color! Throughout my client questionnaire, the word color was in almost every one of her answers. 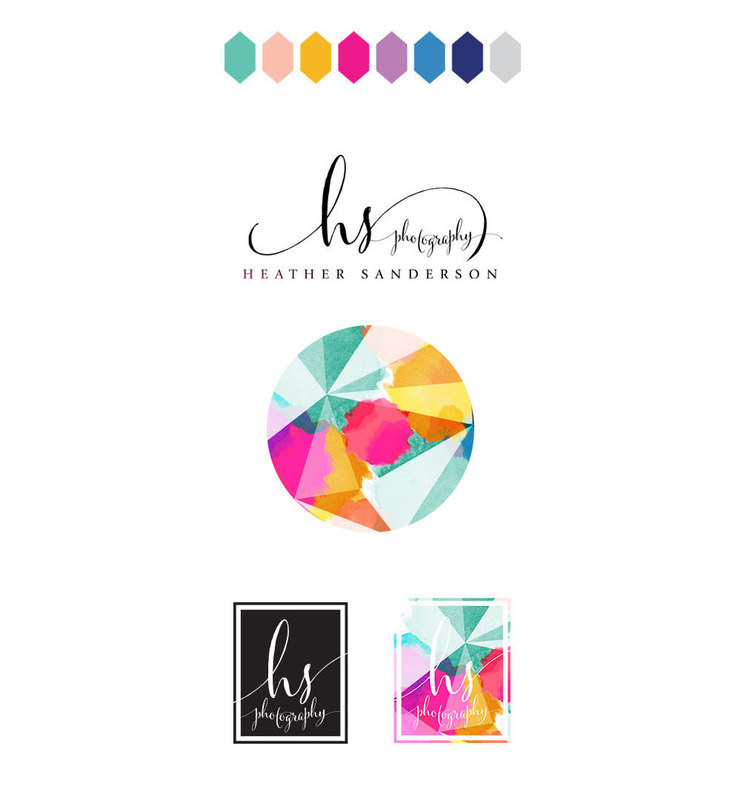 Heather really wanted her logo and new visual branding to represent her zeal for life and her passion for what she does. Her favorite colors are pink, coral, and turquoise, and she really wanted those tied into her logo somewhere. As I began to play with colors and textures for her logo, I was really inspired by the inner workings of a camera and how it captures light. The camera captures the angle, color, and brightness of every ray of light within each frame, as well as the perspective and depth. To me that seemed to not only represent what Heather does, but also who she is. Heather also had a desire to represent some of the people who are very near to her, who have helped her get to where she is today. Although I wanted to give her that, I didn't want those elements to compete with the logo itself and cause it to become too much or over-designed. Instead, I designed some additional elements for her to use throughout her site and among her other marketing materials that can still fully tell her story and represent her in the little added details.